We are still enjoying summer at our house! Although, I’m not sure how enjoyable the weather has been lately…hot, humid, sticky. 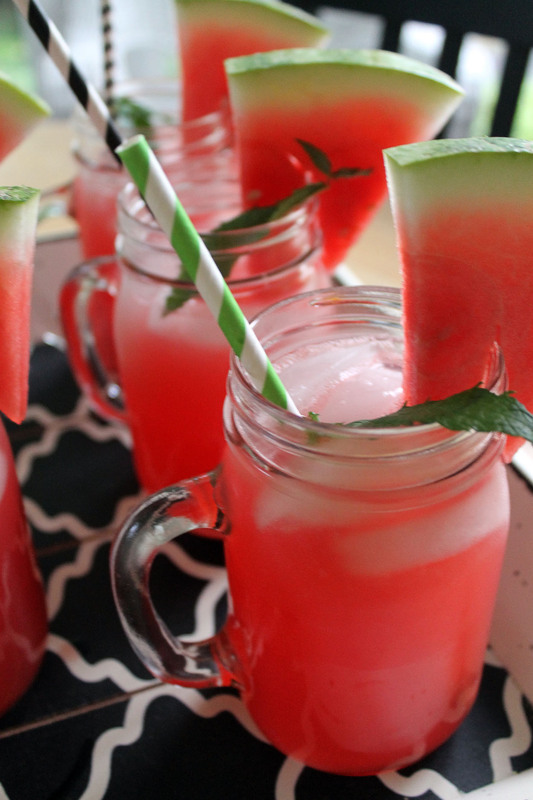 Cooling off with an iced beverage is the perfect refreshment on days like that. 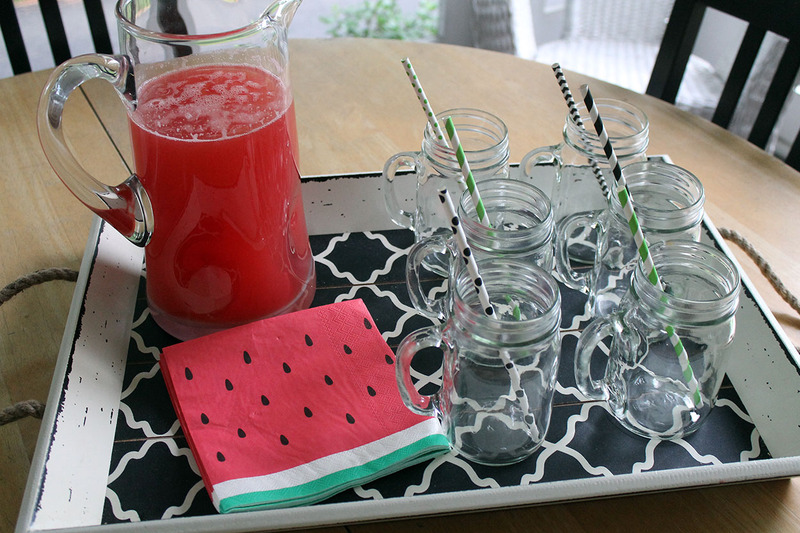 Who wouldn’t enjoy some homemade watermelon lemonade?!? 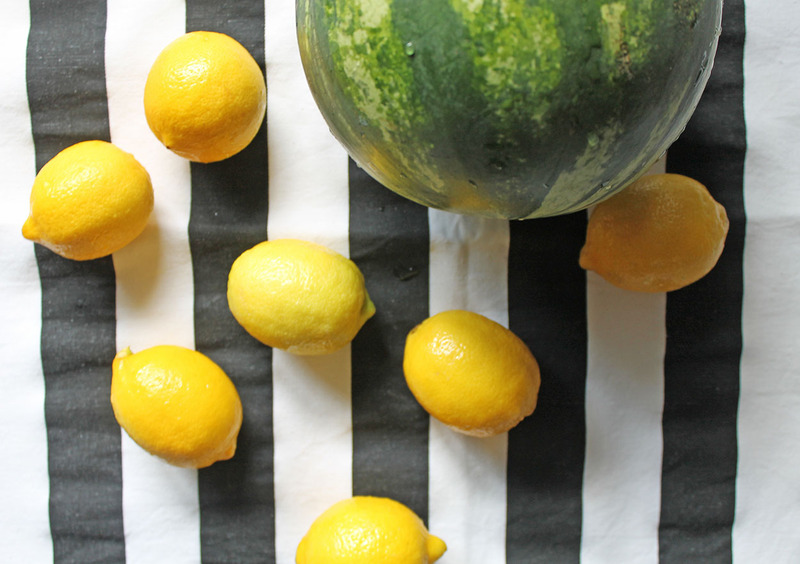 This simple recipe is so delicious and beautiful, in presentation! 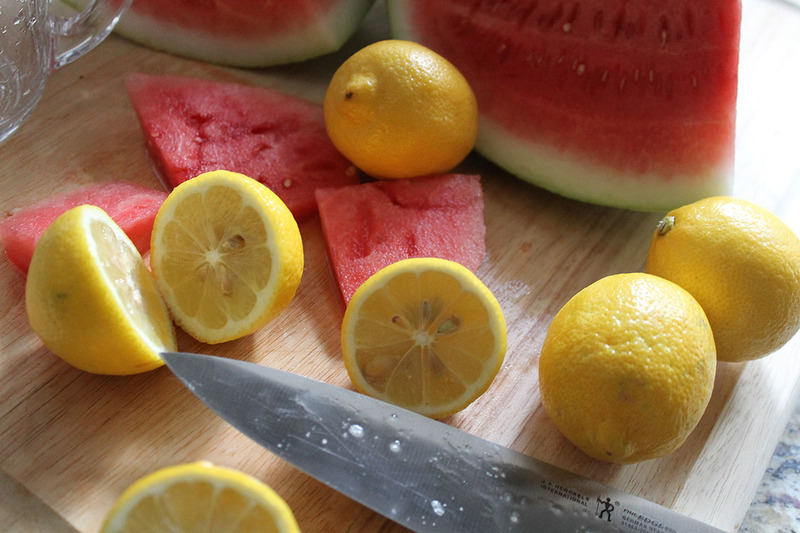 First, squeeze the lemons ahead to allow time to chill. 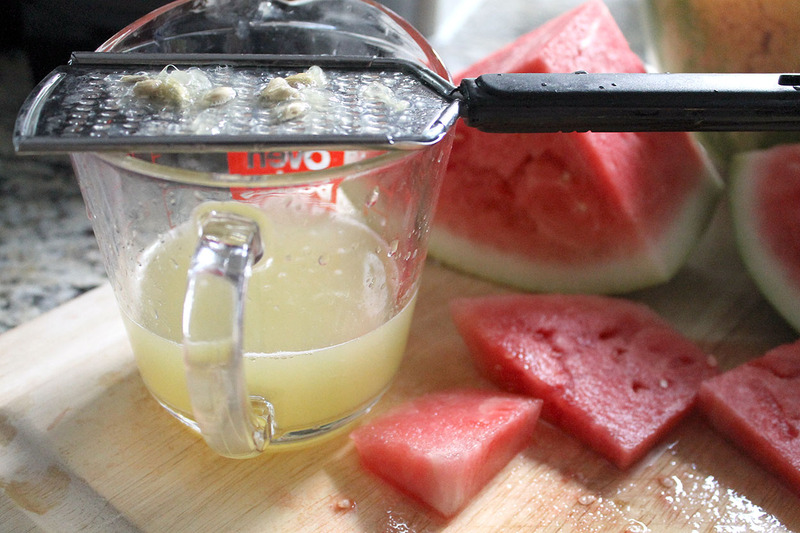 I find it helpful to use a strainer or grater over the measuring cup in order to keep the seeds out of the juice. 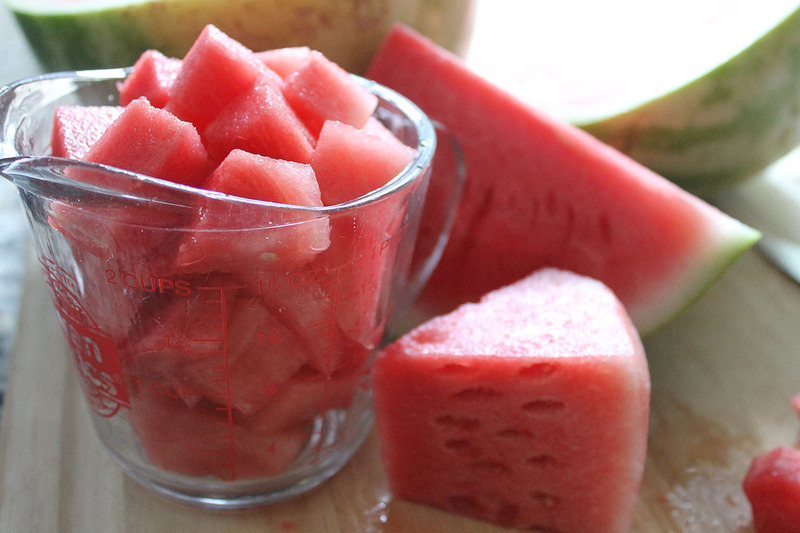 Next, cut the watermelon into cubes. 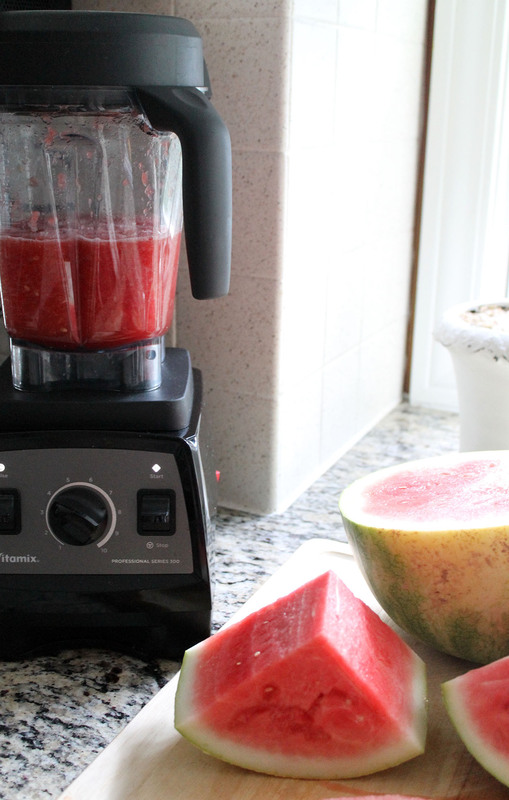 Add the watermelon to the blender and pulse until pureed. This should yield about 4 cups. 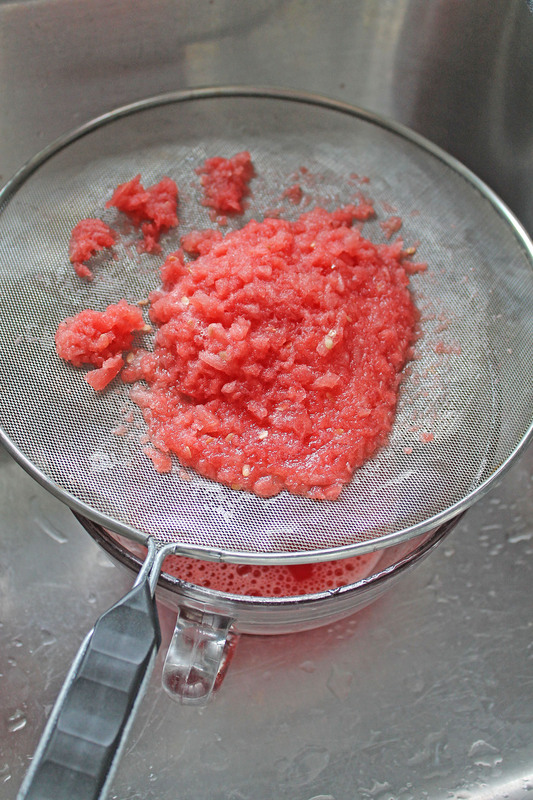 Then, pour that through a mesh strainer into a bowl. 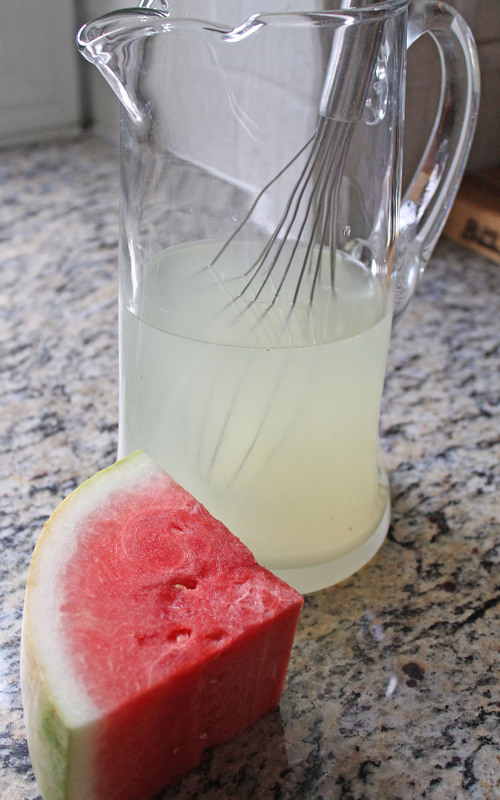 Whisk together the water, lemon juice, and sugar in a large pitcher until the sugar dissolves. 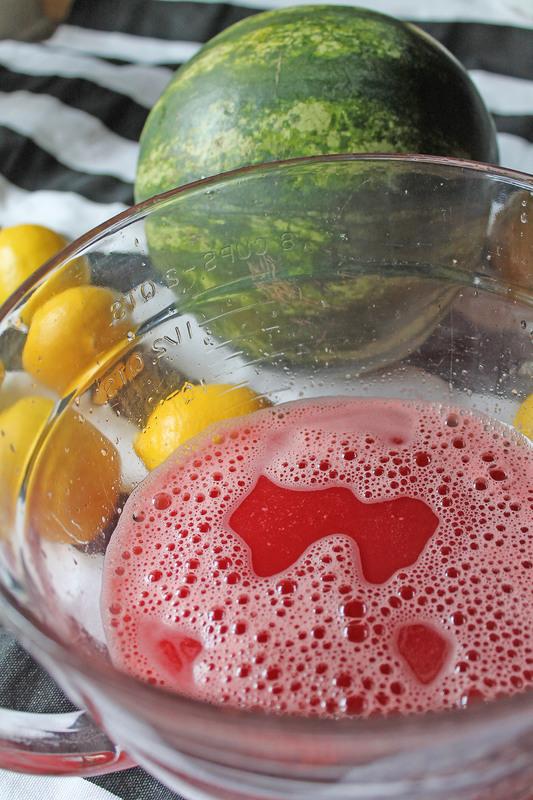 Stir in the pureed and strained watermelon. 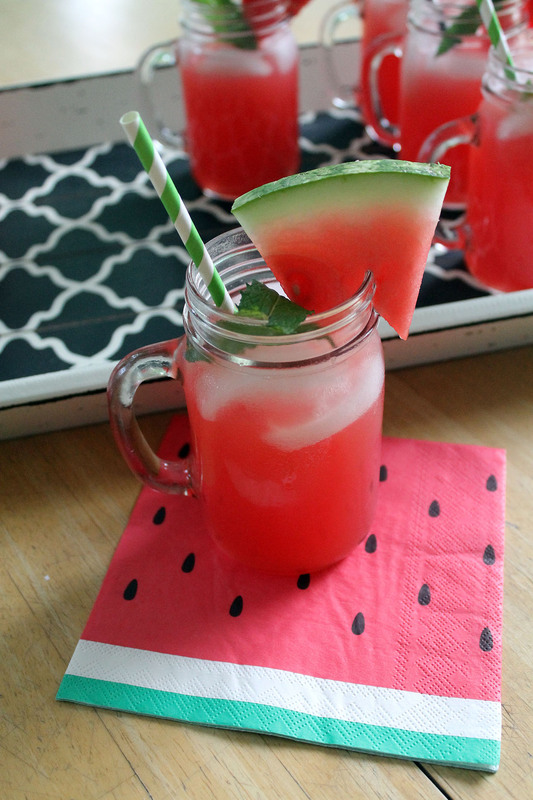 Serve over ice with fresh mint leaves, and garnish the glass with a slice of watermelon. 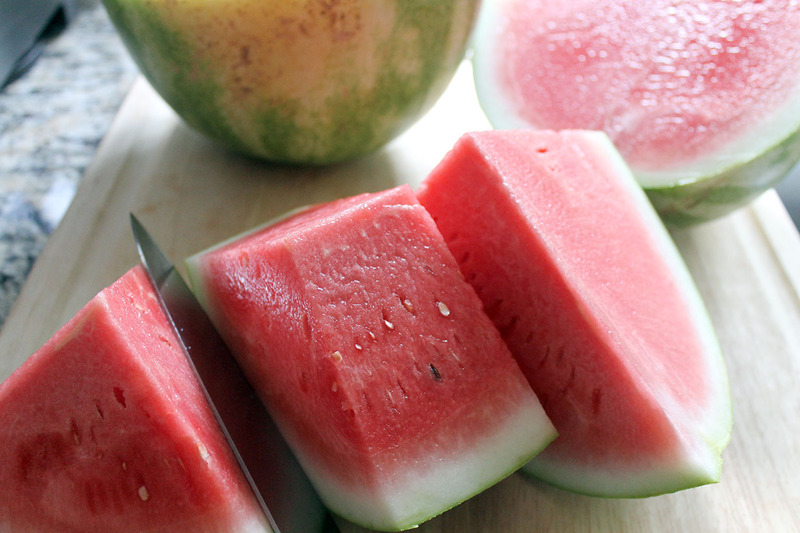 So refreshing on these hot summer days…hope you are staying cool! 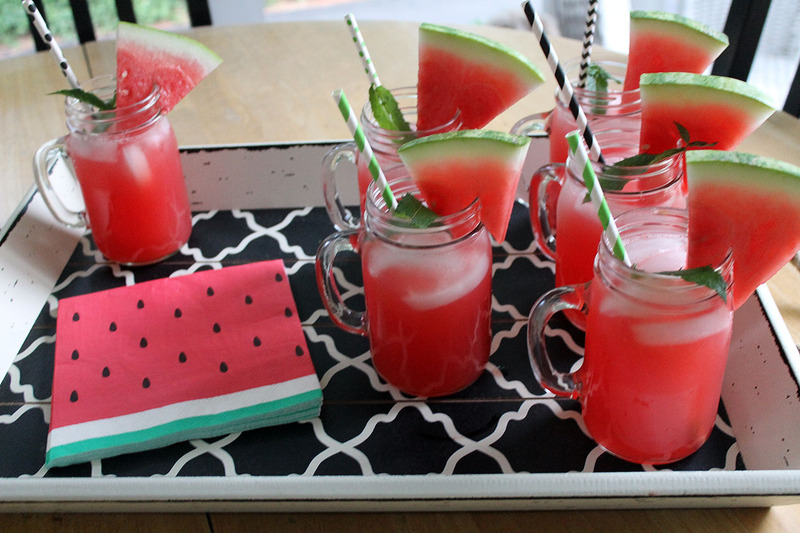 Let me know when C has the watermelon lemonade stand ready! She would be out there everyday if I let her!